Thousands of changes and updates since the 2018 edition, this 528 page 2019 edition contains the very latest details available of around 88,000 callsigns! 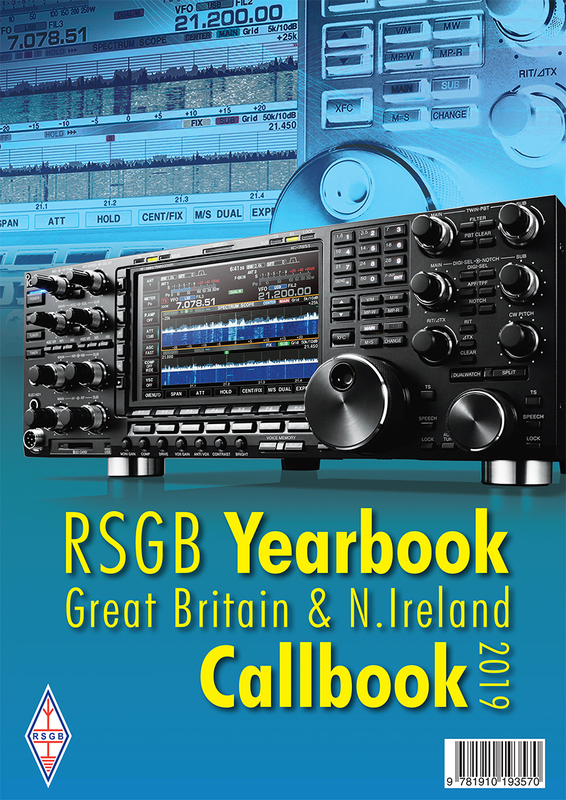 The RSGB Yearbook 2019 details the latest information about the RSGB, the committees and services, local information about regional representation, affiliated clubs, contest groups and repeater groups. There is a large section dedicated to operating which covers from operating abroad, Special Contest calls, RSGB trophies, RSGB Awards to HF propagation forecasts for 2019. PLUS! Latest Band Plans, comprehensive information about repeaters, beacons and more!